1. 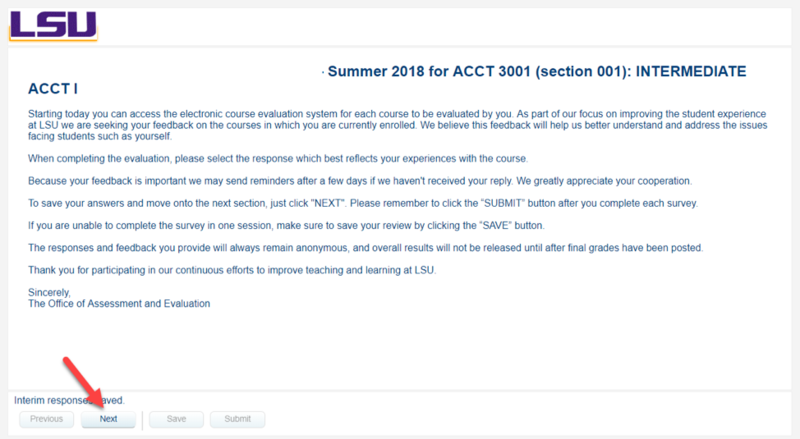 Navigate to the Course Evaluation software by visiting eval.lsu.edu/blue or by clicking the Course Eval link on your myLSU portal. 2. Log into the application using your PAWS ID and password. 3. Once logged in, you'll see the welcome message. 4. Select Next at the bottom left to start the evaluation. 5. 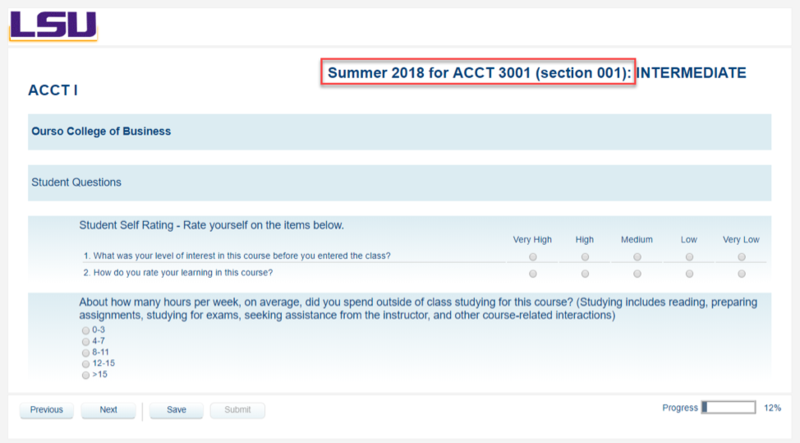 Once the evaluation has begun, you will see the course and section you are evaluating at the top. 6. At the bottom of each page, select Next to continue through the evaluation. 7. 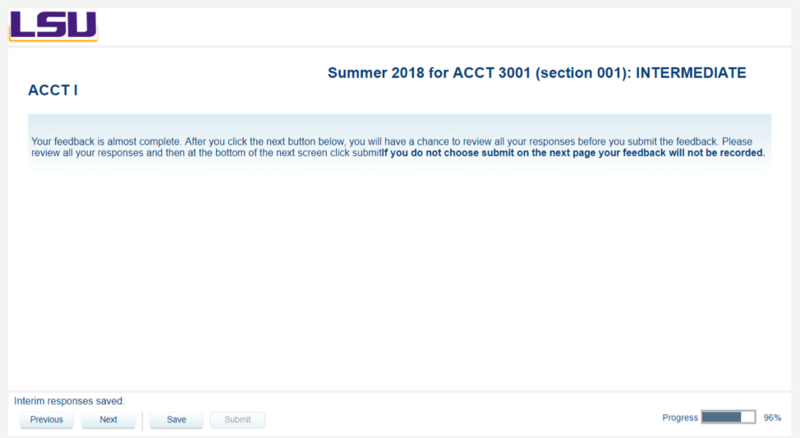 At the end of the evaluation, you will be prompted to review your responses one last time before submitting. 8. 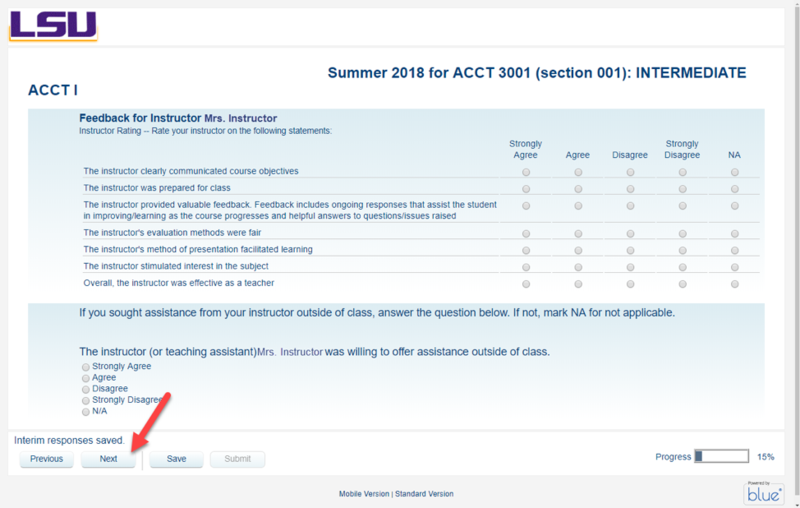 After reviewing your responses, please select Submit to complete your course evaluation. 9. You will repeat this prcoess for all courses in which you are currently enrolled.